Acupuncture is a complementary therapy that was developed by the Chinese almost 5,000 years ago. It loosely means the insertion of needles into the skin at specific points. 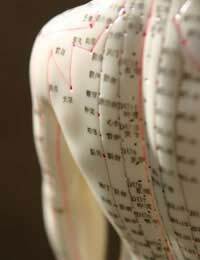 The ancient Chinese regarded acupuncture as an effective therapy, as they believed that by inserting needles into the skin, the needle point unblocked pathways called ‘meridians’, these pathways channel the natural energy of the body and when they become blocked they cause pain. Medical practitioners believe that by inserting needles into the skin, the puncture point stimulates neurological processes that trigger the release of chemicals from the brain and spinal cord, that aid in the reduction of pain. Although 2% of the population of the United Kingdom use acupuncture annually, the results if its efficacy have been found to be quite ambiguous. This makes its scientific quality very difficult to gauge, therefore difficult to recommend as a treatment.There are many variables to remember when trying to measure the success of a treatment. The patient’s expectations of it working, the incidence of needle-phobia, the levels of pain experienced by patients and the availability and usage of tools available for measuring pain. For sufferers of chronic back pain, however, there have been findings that it can help to reduce pain and permit episodes of increase physical activity for up to three months. For these patients, it is a very cost-effective complementary therapy as it is a relatively fast, simple and inexpensive procedure and also lessens the need for other painkilling treatments. There is however, no indication of it being a successful treatment to those suffering acute back pain. In any circumstance, acupuncture only treats the symptoms of back pain, not the underlying cause. As with all needle use, all equipment should be single-patient use, kept in sterile packaging, and used in a controlled and sterile field so as to reduce the risks of hepatitis, HIV and other infections. As long as this criterion is met, it is a relatively safe treatment, with other side-effects being the less serious dizziness and nausea. Ensure that you are well supported and cannot fall when receiving acupuncture. Unfortunately there is no governing body or government legislation regarding the practice of acupuncture, which means anyone can set themselves up as an acupuncturist without having to undertake any training. Not only is this unsafe, as serious diseases such as cancer could go undiagnosed, but there are no guidelines on price or whether the equipment will be of a high and sterile standard. Always check the credentials of your acupuncture practitioner and ask for references. It is probably best to avoid practitioners who advertise in local papers, on leaflets or at fairs and exhibitions as these may be unlikely to have any medical knowledge. The safest option is to ask for a recommendation from your GP, who may actually be able to perform the treatment in the surgery. The British Acupuncture Council, although not an official body, has 1,700 members and advocates the completion of a thorough training programme, and is working with the British Medical Association into making acupuncture available to all patients and in every clinic; at the moment it is offered in 85% of pain clinics. With acupuncture becoming increasingly available within the NHS, the need to seek private consultation is lessening. If a sufferer of back pain does opt for a private treatment, costs vary for each patient as multiple sessions are usually required, lasting from just a few sessions to a treatment plan that continues over several weeks. A typical session normally costs around £30-£40, though a medical physician may be able to command a higher fee than a non-medical acupuncturist. After seven years of back pain and sciatica from a "slipped disc", I tried acupunture. First session the sciatica pain was "turned off", subsequent sessions have improved the back pain. Sciatica and back pain do return, especially if you aggravate it, but I have greatly reduced the strength and frequency of painkillers required. Generally 3 to 4 sessions at weekly intervals are required at first, then sessions as required. I use a GP that does acupuncture privately but you maybe lucky to find it on the NHS locally.